Oh won’t you come and D.E.A.R. with me today? Checking in with my second post in my new weekly meme. Reading this week has gone on a lot better than crochet or knitting time. Mainly because it was easier and quicker to pick up my books with sick little ones and it’s always nice to have escape time. 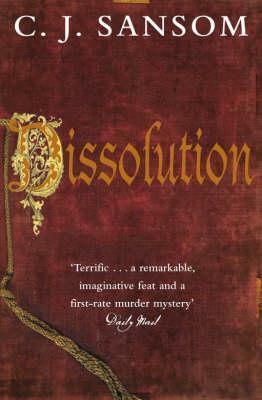 Last week I was reading CJ Sansom’s Dissolution, which I finished, this is my review. Cromwell, a team of commissioners is sent through the country to investigate the monasteries. There can only be oneoutcome: dissolution. But on the Sussex coast, at the monastery of Scarnsea, events have spiralled out of control. Cromwells Commissioner, Robin Singleton, has been found dead, his head severed from his body. His horrific murder is accompanied by equally sinister acts of sacrilege. My thoughts :- I enjoyed this book a lot. The story was a great mix of history and crime fiction two of my most favourite subjects, combine the two with a good plot and story line and for me your onto a winner. The story moved along at a good pace, in places perhaps it lagged a bit but really not enough for it to bore me. It had many twists and turns and just when you thought you had it figured out you were offered a new slant that made you think twice. What I love most about crime fiction is figuring out the who and they why and although with this I had picked out the character who I thought it was at the start who it did turn out to be you still were not sure until the last chapters there was still doubt as to whether I was right or not. There was one twist I hadn’t guessed at and when shown it I did have the right suspect then from the clues but I didn’t guess at the twist. The character of Matthew Shardlake was a good one. Believeable with flaws like all of us, I don’t believe in having detectives who are perfect and to have given him a physical deformity in the form of a hunchback was a good one. He was also moody and irritable at times especially with his assistant which I couldn’t blame him at times as he came across as a very naive character and so the mix of characters together blended well for me. The setting and period were good also. It was very easy to picture the scenes and imagine what life was like and it came across as a very bleak time in both history and in terms of living. The book also I felt held true the time period and gave a good account historically and it neither lost the sleuthing part to the historic part or vice versa. It really was a good blend of both, not an easy thing to accomplish as one normally looses one to the other. This is definitely a series I will be returning to. From Goodreads :- People say that the truth can set you free. But what if the truth is not something you want to hear? Now his daughter Clodagh, trying to come to terms with her past, visits a hypnotherapist who unleashes disturbing childhood memories of her father’s death. And as Clodagh delves deeper into her subconscious, memories of another tragedy come to light – the death of her baby sister. What terrible events took place in the Hamilton house all those years ago? And what connects them to the recent murder? And the killer has already chosen his next victim . . . This is a library book read one recommended to me by my librarians and I have high hopes for it. This week the children are reading :- Most have finished what they were reading last week and some have read two from last week so I shall list all. The Phoenix by Cynthia Harrod-Eagles. This would definitely not be my regular reading choice but as this is the year of expanding the areas I read in I’ll look into getting it from the library, it could be I turn out to love the book. The Lei Crime Series by Toby Neal. These are probably right up my street so will get the first one, again from the library if they have it, and check them out. Beth Hoffman books. These I think I may need to check out on my kindle, I’m not sure if my library has these something is telling me in the back of my mind I may have looked sometime last year but I will check again. So what have you D.E.A.R. this past week? 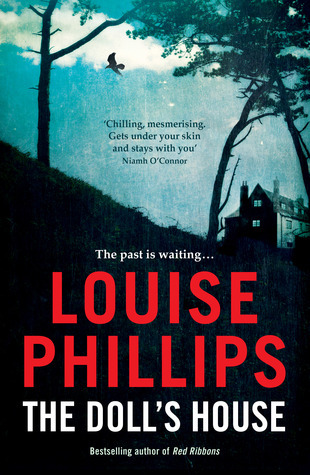 This entry was posted in Books, What am I reading and tagged CJ Sansom, Dissolution, Louise Phillips, The Doll's House. Bookmark the permalink. Glad you enjoyed the Shardlake book. I really loved it too, as did my husband. If you want to try a Toby Neal, there is one today on the free Kindle list – not sure if you get the emails for that, but if you look on Amazon it should be there anyway. I’ve been slowly going through my Cynthia Harrod-Eagles “The Phoenix”. Got about 150 pages left to go! I finished The Book Thief yesterday and started on one called Paradise Interrupted, don’t know if I’ll like it enough to finish. The Book Thief was amazing! Oh my gosh I love to hear people say they’ve read The Book Thief, totally amazing wasn’t it. It is going to be a classic of our age book I reckon. I love it and it has easily risen to the top of my all time favourite book. What intensifying books on your shelf! I love seeing what your kids are reading. I’m so very pleased to have found your blog again Ruth!! I do hope you and the family had a wonderful Christmas 🙂 Now that I’ve found you again I’m making pretty sure that I don’t lose you!